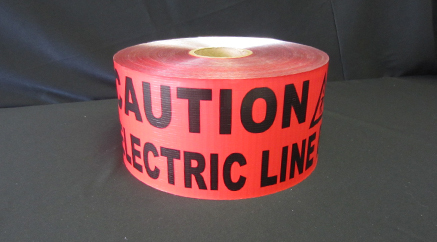 Electric & High Voltage Underground Warning Tape | Reef Industries, Inc.
Stop losing revenue, incurring repair expenses and upsetting customers when your underground electric lines are damaged from accidental digging. Terra Tape® underground warning tape offers a lifetime protection system that will keep your underground electric lines safe from unnecessary damage and resulting repair expenses. When dug up, Terra Tape® Extra Stretch® underground marking tape will alert workers to stop digging immediately. Terra Tape® is also available in detectable grades that can be located with pipe and cable locators. Alert workers before they damage your line. 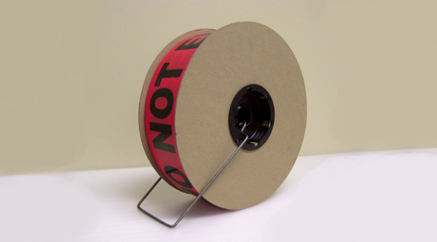 Invest in Terra Tape® underground marking tape. View our stock item list now! 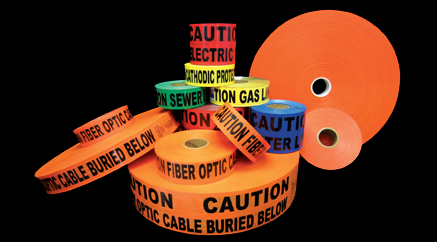 All Terra Tape® underground warning tapes can be custom printed with your name, logo, phone number and/or message in up to four (4) colors. Cutting high voltage underground lines can be deadly, so protect workers and property with Terra Tape® underground marking tapes. Terra Tape® is an extrusion laminated identification system serving as a visual signal indicating that further digging will harm workers and could potentially breach the utility below. All Terra Tape® underground warning tapes can be custom printed and are easy to install.